ONE of Scotland biggest bus operators has said it will take legal action if Glasgow goes ahead with plans to cut harmful levels of toxic air that will mean the most polluting buses will be banned from the city centre. 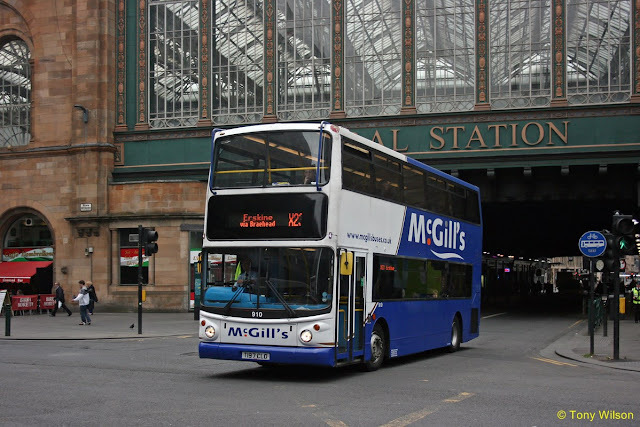 Ralph Roberts, managing director of Glasgow bus operator, McGill's, says buses should not be singled out in plans for a so-called low emission zone by the end of next year. Strathclyde Partnership for Transport (SPT) estimate the cost of retrofitting hundreds of buses with exhaust modifications to comply with clean air standards is in the region of £10-17 million. 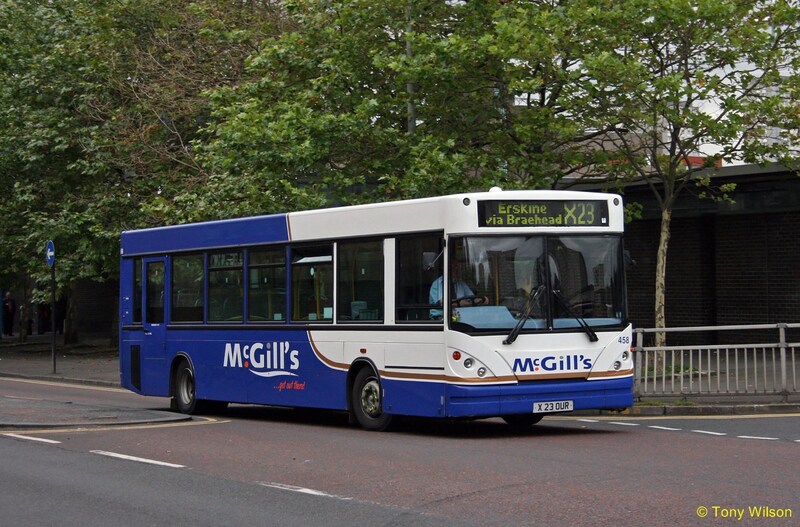 McGill's say 100 of their vehicles would be affected and require the alterations. And Mr Roberts, who says it will be the passengers who will have to pay for the increased costs with higher fares, has said McGill's will take court action to stop the low emission zone plan if buses are unfairly targeted. Speaking before councillors consider the plan on Thursday, he said: "We will challenge it legally [if it happens]. We will stop it happening. We will go legal. "We will go to the Court of Session and if it involves a judicial review, we will do that. But we will challenge them. " Mr Roberts took his own iPhone video of issues with lines of taxis idling in Hope Street, one of the most air-polluted streets in the city, to illustrate that the problem is not all about buses. Some 2000 early deaths are caused every year in Scotland because of polluted air according to the latest medical research, with some 40,000 across the UK. Glasgow has been described as "the most polluted city in Scotland" by environmental lawyers ClientEarth over what it called "illegal and harmful levels" of nitrogen dioxide (NO2), which comes mostly from diesel vehicles. And data from Friends of the Earth named Hope Street in Glasgow as among the most polluted streets in Scotland for NO2, known to damage human lung tissue. Lothian Buses in Edinburgh introduced a new fleet of 30 so-called Euro 6 vehicles to cut down on pollution. Euro 6 is the sixth incarnation of the European Union directive to reduce harmful pollutants from vehicle exhausts. The McGill's executive has written to all councillors, appealing to them to kick the plan into touch saying: "The report you have in front of you says that this is because of the the bus. That is a very unstable assumption. "There is no way to know whether this comes from cars, taxis, buses or trucks. Buses are definitely a large part of it but to focus on buses and ignore the rest is folly and perhaps, actually, unenforceable. He warned: "Whether you like it or not, converting existing buses with exhaust treatment to meet the Euro 6 target cannot be done by the end of 2018 regardless of who pays for it. Thereafter, those buses will be more expensive to operate so fares will go up. That is a simple fact." The proposal to ban all but the cleanest buses by the end of next year is supported in a report by Glasgow City Council's (GCC) sustainability and carbon reduction committee convenor Anna Richardson, who said it can lead to "the most significant and immediate improvements in air quality". She said: "Reducing bus emissions, rather than removing or reducing bus services through the city, is clearly the objective for this approach. "The case for the introduction of a low emission zone in the city centre, initially focused on buses, is clear and compelling. It is backed by detailed technical assessment and scientific evidence. Members are therefore asked to support the city’s ambition of introducing Scotland’s first LEZ, with an initial focus on buses." Mr Roberts said the local authority should consider more basic measures first - like removing the three sets of traffic lights in one block of Hope Street between Waterloo Street and Bothwell Street, which he said causes buses to stop, start and accelerate away too many times and pollute. "Change the lights. Take them away. Replace with one set of traffic lights, rephase them so that the buses can keep rolling and you slaughter the emissions. "We are not taking some fundamental basic steps to help ourselves, we are just saying, because we can put through our traffic restrictions, we can hit buses. Let's do that because it is easy." Earlier this month the Scottish government released a consultation on how to deal with traffic pollution in Glasgow, Edinburgh, Aberdeen and Dundee.